Denver Bronco rookies got their ‘hazing’ Tuesday at UC Health Training Center and it was…bad. Shane Ray made sure to mention that Bradley Chubb — “55” — was going to get a great hair cut and he did. Chubb’s indescribable cut had crooked lines and took all of a minute to complete the masterpiece as players had fun with the razors. No rookie was safe as DaeSean Hamilton finished his trip to the barbershop with most of his locks chopped off, leaving a little plant-like piece up top. Emmanuel Sanders posted a video on Instagram recapping the hair cuts. Rookie linebacker Josey Jewell from Iowa grew horns. 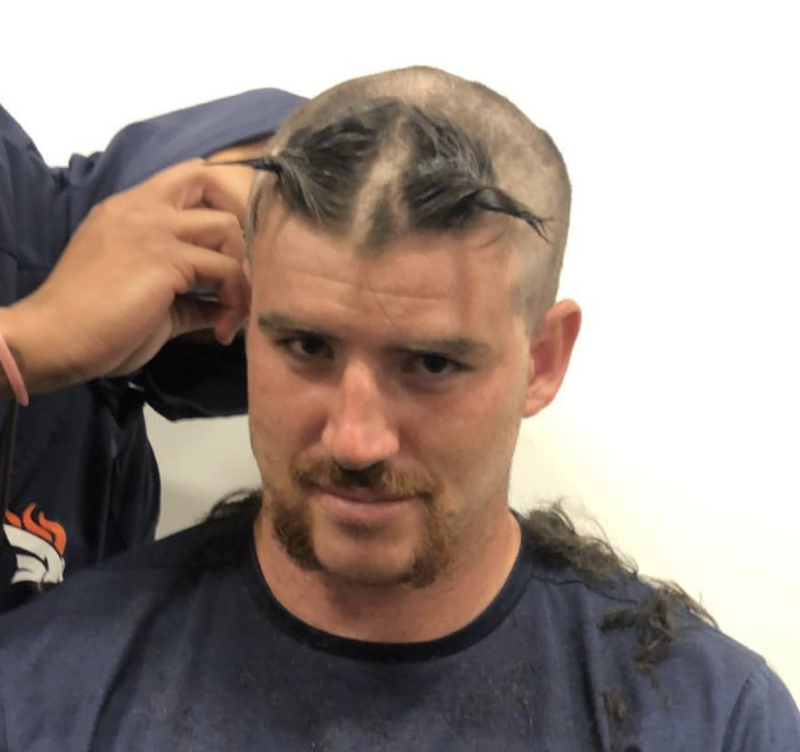 The hazing haircut is all in good fun and a yearly tradition at Dove Valley.